Do you need professional home appliances repair in Manhattan Beach, California? Turn to our local company and get the service you deserve. Our techs are trained and experienced. 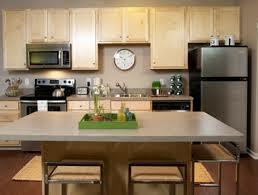 We are qualified to service all kitchen and laundry room appliances. Our skills have been polished over many years of on the job service. We excel at washer & dryer service. Our pros offer superb freezer or fridge repair. You can call us to fix your microwave or dishwasher. We over stove and oven repair as well. Do you want quality service at a fair price? Let our friendly appliance technician help you today. At CT Appliance Repair Manhattan Beach, we love what we do. It is an honor to serve our community with good old-fashioned customer service. A friendly smile goes a long way. We are reliable, helpful, and extremely efficient. Our crew is organized and focused. We work diligently to administer quality results. We are passionate about providing the most efficient appliance repair in Manhattan Beach. We are the local company to contact for fast appliance repair service. Many customers take advantage of our same day repair guarantee. You should too. One of our experienced techs will respond with urgency to fix your broken appliance. We will stock our truck before we come. This will ensure we have the products we need to do the job right. If your fridge & freezer are giving you trouble, give us a call. Do you have a washer or dryer that won’t work? Front load, top load, we fix them all. Choose our pros for same day home appliance repair. Make our local company your prime choice for appliance service. We have the proven experience. Our techs display the needed skills. We are trained on all appliances. Give us a chance to administer the best Manhattan Beach home appliances repair.